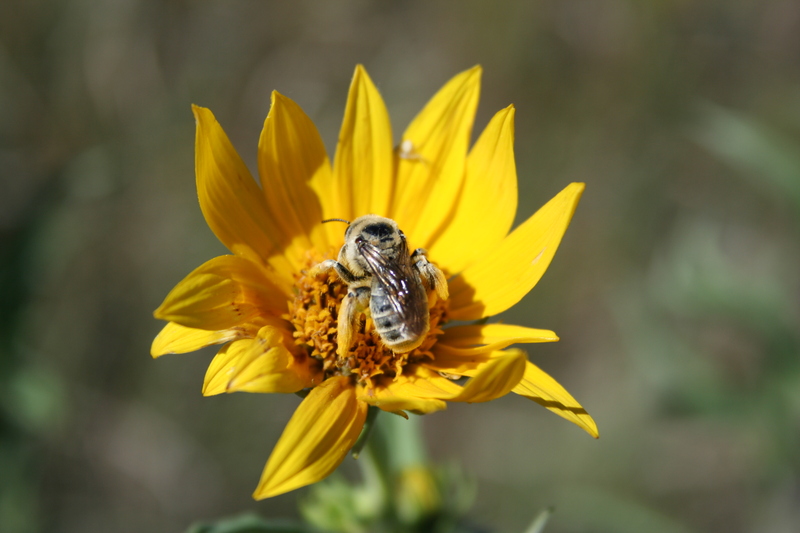 Are Neonicotinoid Insecticides a Threat to Native Pollinator Health? Neonicotinoid insecticides are effective tools used to control insect pests in urban and agricultural settings. Aerial spraying of pesticides on row crops in Iowa. Photo Credit: Dana W. Kolpin, USGS. Their use has come under increasing scrutiny as one of several possible factors leading to unintentional loss of commercial honeybee colonies used to pollinate crops (Colony Collapse Disorder). 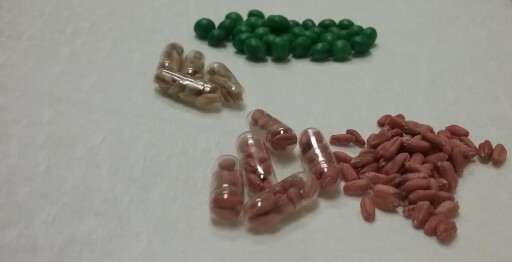 Wheat (red) and soy (green) seeds coated with the neonicotinoid pesticide imidacloprid. Photo Credit: Thomas G. Bean, USGS. 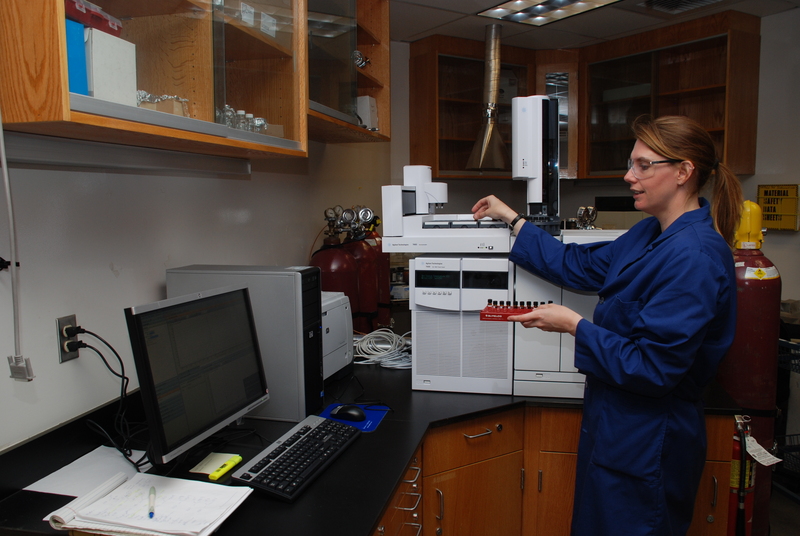 U.S. Geological Survey (USGS) scientist uses a very sensitive instrument to measure concentrations of insecticides in sediments. Photo Credit: Cathy M. Munday, USGS. Our specialized teams of hydrologists, chemists, biologists, and geologists working in laboratories and field sites across the United States were the first to develop methods and document environmental occurrence of neonicotinoids in about half the streams sampled across the United States. Neonicotinoids were also found in or on native bees foraging in agricultural fields. A monarch butterfly drinks nectar from a plumeless thistle flower in an abandoned agricultural field. Photo Credit: Elizabeth A. Sellers, USGS. Is the health of native pollinators such as the Monarch butterfly threatened by neonicotinoid insecticide exposure? Can the placement of conservation plantings be optimized to benefit agricultural production while also protecting native pollinators from exposure to neonicotinoid insecticides?